We accept cash and credit card for the payment. ●If you would like to pay the deposit before your stay, let us know. We will give you the information of our bank account to be transferred into. If any additional charge of room, food, and/or drinks during your stay, we will charge the balance when you check out. Following are our cancellation policy. ◇We will charge 100% of the room rate for no-show on the day of your stay. ◇In this area of Sanin and Kasumi, we usually have a large amount of snowfall and unstable weather during winter from December to March. Even in the case of cancellation caused by the weather, the cancellation policy listed above will apply. Make sure to check the weather forecast, and make changes to your reservation if necessary. 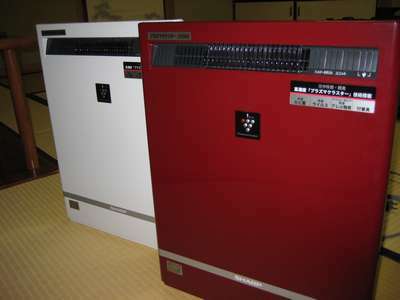 All of the rooms, the guest rooms and the banquet rooms, are Japanese-style room with tatami mats. We provide tables 35cm high for the breakfast and dinner. 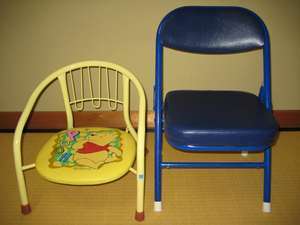 For small children and customers with disabilities, we provide low chairs. 【In the guest room】Yukata for gentlemen and ladies available one each. 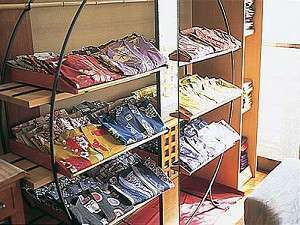 【At the front desk】For ladies・・Besides the room yukata, we provide color yukata for ladies. Chose one you like from the 30 different patterns. 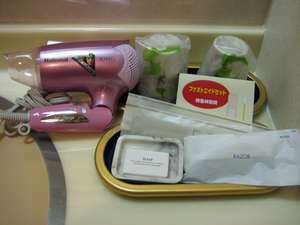 we provide you toothbrush, hand soap, cotton swabs, hair dryer, Japanese tenugui towel, bath towel, yukata, and yukata jacket. and hair dryer, hairbrush, and cotton swabs for women. We have an air cleaner for each room. Feel free to use it whenever, e.g. eating and sleeping. We can provide a humidifier in your room upon your request. However, the number of the humidifiers we have is limited. Please let us know in advance if you would like. ※Please note that we might not be able to provide it in some cases. with the scenic view of Japan Sea. We would like you to fully enjoy the beautiful landscape of the nature. With only 10 guest rooms, we do not have a huge or fancy bath. However, we would like to introduce you to the real beauty of the nature!!!! It is not empty as it might look. We made it simple yet the best. See the The red sunset on the Sea of Japan and isaribi on the holizon through spring to summer. 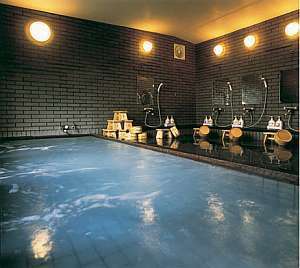 ☆Following is the usage time for the large communal bath. We have the large communal bath for men and women one each. Do you have pickup service? Get off at the closest station, [Sanin line JR Kasumi Station]. Call us, and we will pick you up at Kasumi station (Free). please let us know when you make reservation. ※Feel free to call us if you would like a room on the day. 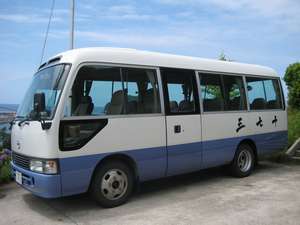 ※We pick you up by motorcoach or minibus Depending on the number if the customers. We also drive you back to JR Kasumi station on the next day. For children, choose breakfast either for adults or for children. For children, Choose either breakfast for adults or for children. Children's breakfast menu (daily special). 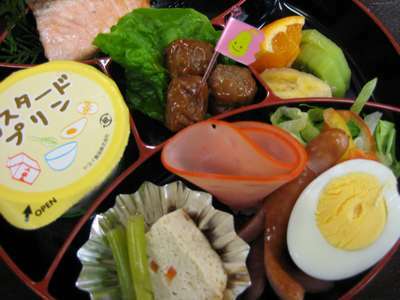 ※ Please leave notes about the choice of your breakfast in the comment section of the reservation form. ※If the child has any allergy, please let us know beforehand. Is there any place where I can take a shower and wash the swimming suit when coming back from the beach? 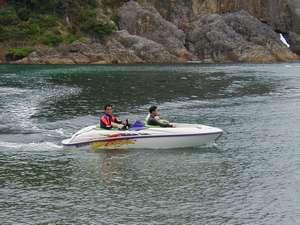 We provide free marine sports trial, rock fishing, quick sightseeing tour of the beach, diving trial (pay), etc. The closest beach [Imakoura beach] is 3 minutes by car from our hotel. use our shower space at the entrance. Feel free to use the washing machine next to the shower space. ●Please note that we only have one, you might have to wait when other is using. ●Let us know at the desk before using it. Do you have [scuba diving trial/lesson for certification]? We have a lot of water activities for you to fully enjoy the summer. Exciting! All our trials are safe and enjoyable for beginners as well. ○o。. 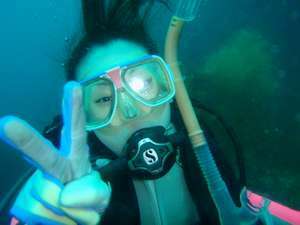 Free trial of scuba diving　.。o○. ◆If you already have the certification, we also have equipment rentals. No need to prepare on the day. ◆We have short and reasonable 3 days lesson for the diving certification. Our specialized stuffs will answer your questions. 3 minutes by car from our hotel (free pickup and drop off service available). At the shed of Minatokan close to Imakoura beach. You must be starving after swimming and playing under the sun. Why don’t you have a lunch on the beach? Eating while feeling a sea breeze is amazing. 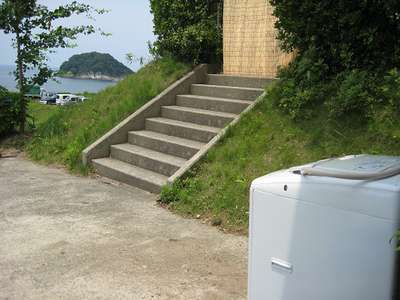 Enjoy BBQ at the shed of Imakohama-Minatokan by the beach. ☆We also have a reasonable offer, , 3 meals/night (BBQ). Do you have free trials for children? 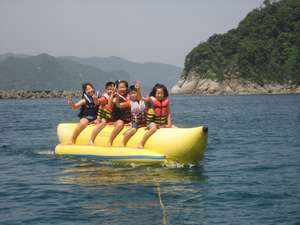 The most popular one among the marine sports during July is the banana boat. It’s for everyone from children to adults. Have fun with your friends or the people who you meet for the first time. It is exciting to have the excitement all together!! It will be a good memory of summer. Pick-up service ◆Free pickup service available at all times. our stuff will adjust the speed for safety. Can I borrow a marine jet? From July, we have free marine sports trial in our summer activity program. It is for everyone from children to adults. for 25,000/day (plus additional gas charge). The jet is for 2 people. Please note that we have limited number of them and might not be able to provide for all of you. ※When borrowing the marine jet, please show us the license of vessels for one day. We also provide scuba diving trial and lessons for certification for beginners as well. Call us for reservation and question.